Can you confirm these amateur observations of Goggia essexi? Type locality: Hounslow, near Grahamstown, Cape Province. Hewitt, J. 1937. 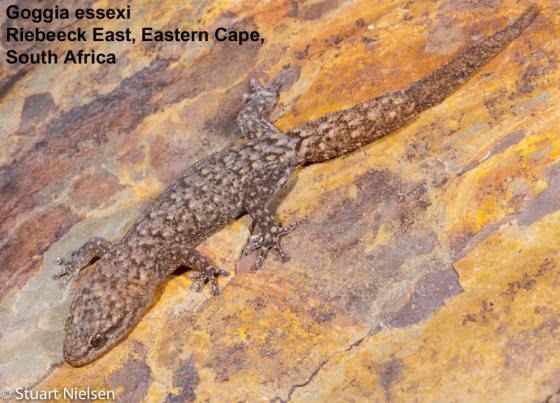 A guide to the vertebrate fauna of the Eastern Cape Province, South Africa, Part II: reptile, amphibians, and freshwater fishes. Grahamstown, vii + 141 pp.